The George Washington University (GW) Cancer Center is pleased to announce that Mitchell R. Smith, M.D., Ph.D., has been appointed as the associate center director for clinical investigations. In this role, Smith will be responsible for overseeing all clinical cancer research and the clinical cancer research infrastructure of the GW Cancer Center. The GW Cancer Center, established in 2015, is the umbrella organization for all of the cancer-related activities, from basic science, population sciences, and clinical research to outstanding patient care and health policy, taking place at GW. The GW Cancer Center leverages the GW School of Medicine and Health Sciences, the GW Medical Faculty Associates, the GW Hospital, and the Milken Institute School of Public Health at GW to enhance the university's efforts in cancer research and patient care. "I'm very pleased that a highly accomplished clinical investigator of the stature of Mitchell has joined the GW Cancer Center team. His depth of experience in clinical trials and translational research and his passion for patient care made him a perfect fit to our leadership team. These qualities together with his proven track record of facilitating collaboration among diverse groups of researchers will help us build the GW Cancer Center's reputation as a leader in clinical and translational cancer research," said Eduardo M. Sotomayor, M.D., director of the GW Cancer Center. Smith will be responsible for providing leadership for the Clinical Trials Office, the Protocol Review and Monitoring Committee, and the Data and Safety Monitoring Committee. He will oversee all clinical trials in cancer, with special emphasis in investigator-initiated and immunotherapy trials and will work to enhance minority participation in trials. He will also be involved with shepherding the development of disease-oriented multidisciplinary teams composed of experts in different specialties. These teams bring together clinical expertise in treating a specific cancer type to provide state-of-the-art clinical care and serve as the epicenter for clinical and translational research activities on specific cancers. 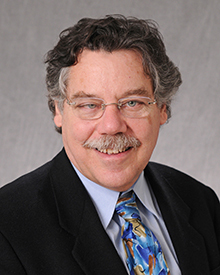 Smith joins the GW Cancer Center from the Taussig Cancer Institute at the Cleveland Clinic in Cleveland, Ohio, where he served as director of the Lymphoid Malignancy Program. He also served as professor of medicine in the Lerner Research Institute. Prior to joining the Cleveland Clinic, Smith served as director of the Lymphoma Program at Fox Chase Cancer Center in Philadelphia, Pennsylvania. Smith also holds leadership roles in national cooperative groups in the field of lymphomas and hematologic tumors and he is active member of several professional societies, including the American Society of Hematology, American Society of Clinical Oncology, the American Association of Cancer Research and the Lymphoma Research Foundation. He has been a member of National Comprehensive Cancer Network guideline panels for Hodgkin and non-Hodgkin lymphoma and multiple myeloma and chaired the mantle cell lymphoma subcommittee of the National Cancer Institute's National Clinical Trials Network clinical trials planning meeting. His current research interest is in the rapidly evolving area of immunotherapy clinical trials, in particular with antibody-based therapeutics including checkpoint blocking antibodies, as well aschimeric antigen receptor (CAR) T-cells for patients with aggressive lymphomas.